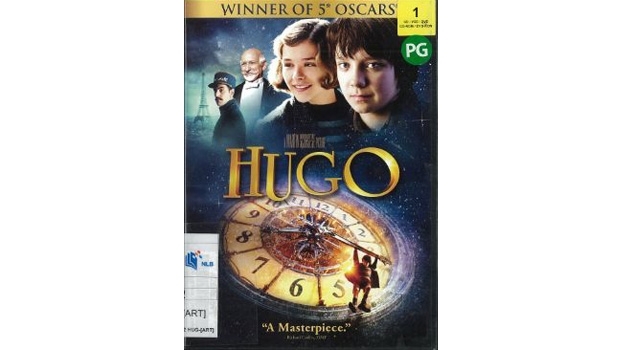 Directed by Martin Scorsese, Hugo is an Oscar® winning adaptation of the book, The Invention of Hugo Cabret. Set in Paris in the 1930s, Hugo, an orphan who is adept at fixing things, secretly runs the mechanical clocks in a bustling train station where much of the story unfolds. He is fascinated by an intricate automaton which he and his father were repairing before the latter passed on. In the course of mending it by stealing parts from a toy store, he gets into a whirlwind adventure. With the help of a newfound feisty friend, the two discovers the origin of the automaton which leads to a bigger story that they never imagined. This film will appeal to anyone who appreciates a good story. One may even view the film as a celebration of children’s youthful energy and curiosity in discovering the world around them. Contributed by Nurliza Sumry, National Library Board (NLB). The DVD cover is the copyright of the respective movie production company.